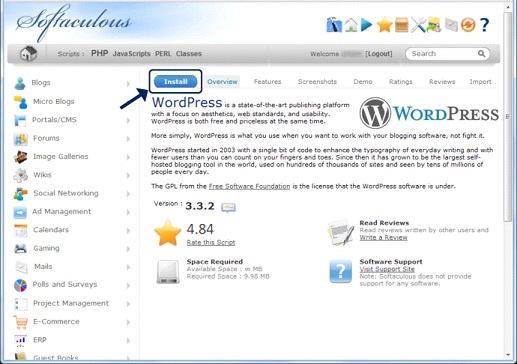 The last week we posted you with the 4-step procedure for installing WordPress on your website or blog using Softaculous.Speedhost.in provides all its customers with a free installation of Drupal and all other Softaculous scripts along with our hosting plans. By looking at the popularity of Drupal as a CMS and the Facebook poll, we dedicate this post to Drupal. Go to your cPanel login page (ask your hosting provider to give you the login details) . 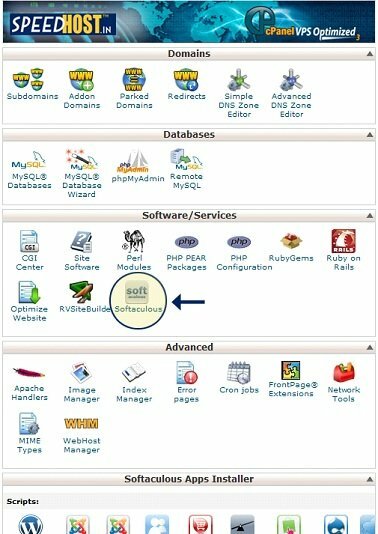 While you login to your cPanel account, you see a lot of icons under subheads like Domains, Databases, Preferences, etc. Click on the subhead Software/Services. The section expands and you can see a number of Software icons namely CGI Center, Perl Modules, PHP Configuration, etc. Click on Softaculous. When you click on the Softaculous icon, “Softaculous Apps Installer” expands. Click on Drupal icon. If you don’t see WordPress icon under the scripts, click on the category CMS and select Drupal. Once the Drupal page opens, click Install. 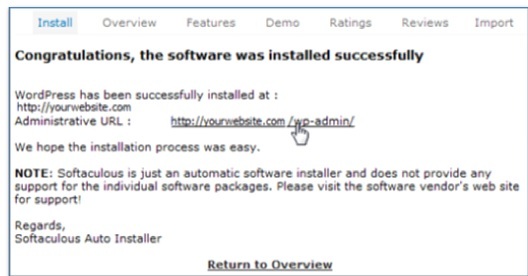 Once you hit Install, Software Support form appears. 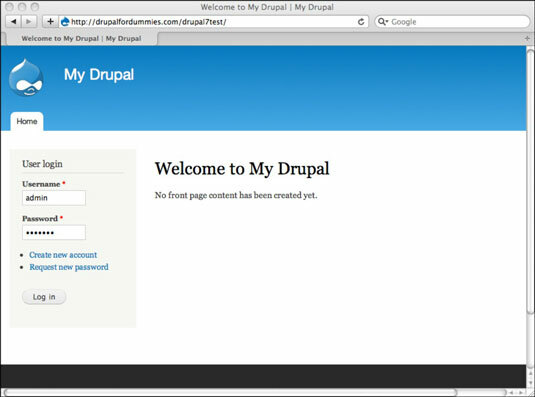 This is where you enter a number of options including a username and password for your new Drupal site. You also choose where on your site Drupal will run. You can accept most of the default values on this form. The only thing you need to change is the In Directory text box. Suppose you have requested the domain mynewdrupalsite.com from your web host. If you want your Drupal site to be the first thing people see when they browse to www.mynewdrupalsite.com, leave the In Directory text box empty. If, however, you plan on having multiple sites or just want to play with this first Drupal site, you can put it in a directory on your site, such as test. Then, when people go to www.mynewdrupalsite.com/test, they see your Drupal site. Enter a username and password of your choice in the Admin Account section further down the page.The username and password allow you to administer and customize your site. Choose a strong password; otherwise, you risk someone hacking your site. Enter your e-mail address and click the Install Drupal button. 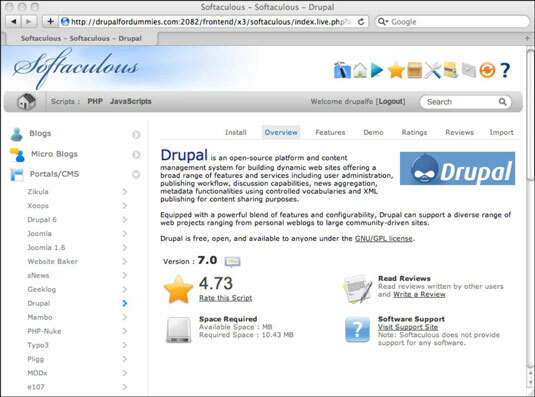 A screen appears that gives you a bit more information about the databases Drupal will create. This is just for your information. As you hit ‘install’, in a moment’s time, you will be greeted with the default Drupal page. Click on the administrative URL and you are now ready to use your brand new Drupal CMS. You’re finished with the installation. When you click the link, you see the main page of your new Drupal site. If you want to log in, use the username and password you specified in Step 3 in the preceding step list. If you have any more queries or issues while installing Drupal, please let us know! Remember, we’re available at your service with 24/7 dedicated E-mail support, Live Chat and telephonic support. We know we haven’t given our blog much love recently. Apologies for that! But let’s begin this with a promise that we promise to keep. We will now be interacting more often and we are particularly looking forward to hearing from you guys much more often. Speedhost.in provides all its customers with a free installation of WordPress and all other Softaculous scripts along with our hosting plans. But we realize that we have customers, who still want to know the steps involved in the installation. So here is the step-by-step installation guide. It’s no rocket science! 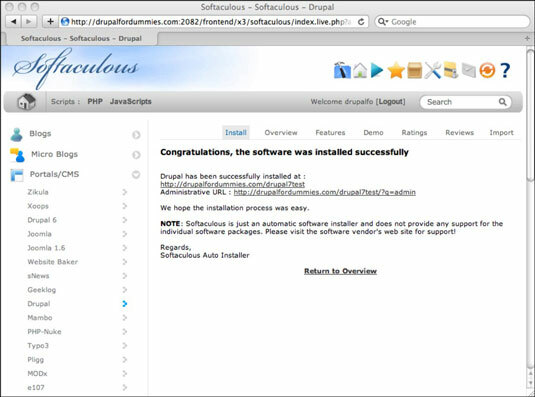 When you click on the Softaculous icon, “Softaculous Apps Installer” expands. Click on WordPress icon. If you don’t see WordPress icon under the scripts, click on the category Blogs and select WordPress. Once the WordPress page opens, click Install. Choose Protocol : If your site has SSL, then please choose the HTTPS protocol. Choose Domain : Choose the domain name from the drop-down list. In Directory : The directory is relative to your domain and should not exist. e.g. To install at http://mydomain/dir/ just type dir. To install only in http://mydomain/ leave this empty. Database Name : Type the name of the database to be created for the installation. Standard database name will already be give. Either keep it the same, or change it to something that is easy for you to remember. Site Name : Use the name of your blog or website. For e.g., My Blog. Site description: Use the words that describe your website. For here, My WordPress Blog. Admin Username: The default username is “admin”. Keep it the same, or change it to something you can easily remember. Admin Password: The default password is “pass”. Type the admin password. For security reasons, make sure that the password you use is complex and not easily guessable. You can also use the ‘key’ on the right to generate secure password for you. Admin E-mail:Type in your Admin E-mail here. 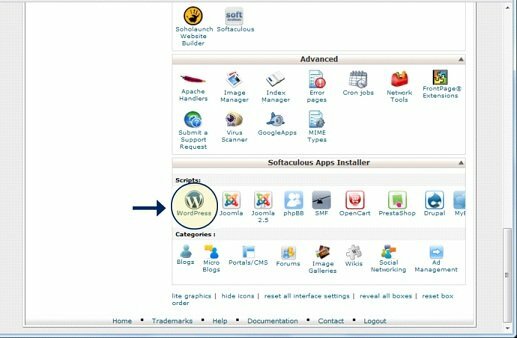 As you hit ‘install’, you will be greeted with the default WordPress page. 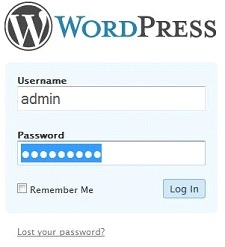 Click on the administrative URL and login to your WordPress using your Admin username and password. We think WordPress is awesome! It’s easy to install, fun and feature-rich. If you have any more queries or issues while installing WordPress, please let us know! Remember, we’re available at your service with 24/7 dedicated E-mail support, Live Chat and telephonic support.